To all new parents: just in case you didn’t know, you gotta baby proof your house! It all happens so fast. First, baby starts to roll and crawl. Then they start “cruising.” And finally, your sweet little bundle of joy takes his or her first Frankenstein steps. And just like that, you have a walker! 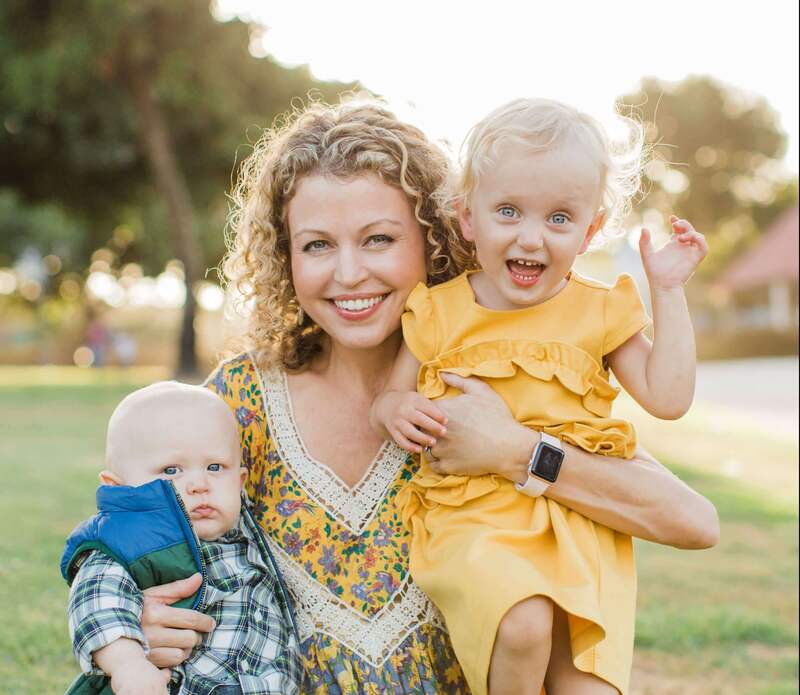 I wrote this baby proofing checklist in honor of emergency nurses week and my desire to encourage other parents to take an active stance in baby proofing their homes. If you are anything like us, you may be a tad bit sleep deprived and overwhelmed. I hope this list helps to make it easier to create a more baby friendly home. 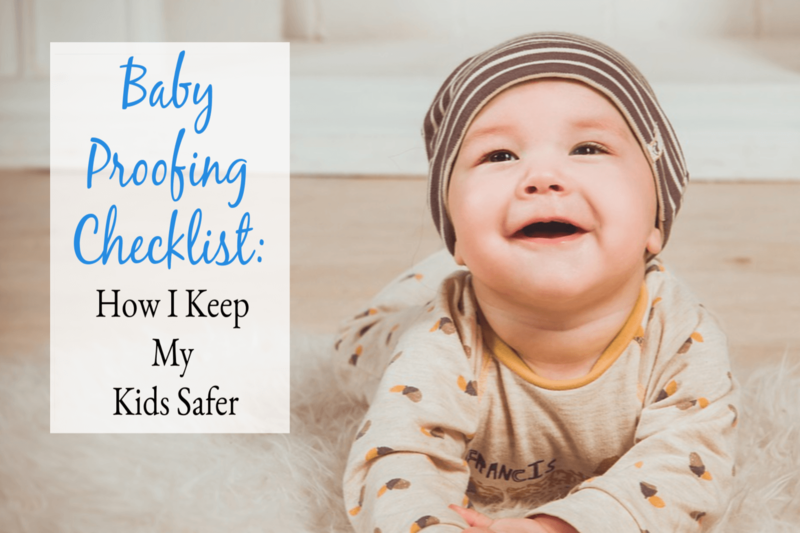 Why is having a baby proofing checklist so important? You would be surprised at how quickly babies can hurt themselves. The prevention of accidental injuries is the #1 reason why babies need safe physical boundaries in place. Think of it like this: Playtime + baby proofed home = safe space for growth and learning opportunities! As parents it is our responsibility to make sure our kids are in a safe environment. Children need a secure place to get messy, play, explore, learn and have fun. One second your baby is playing in one spot, the next they are on the other side of the house trying to open up the cutlery drawer in the kitchen. Once babies learn how to crawl or walk they can be surprisingly fast! Safety gates help keep kiddos within a safe area. Remember that you want to make sure safety gates are screwed into the wall if they are at the top of a staircase. Note: Although safety gates are a great way to keep your baby more safe, it doesn’t mean that they can’t get hurt on them. A study from 2014 found that as many as 2,000 U.S. kids visit the emergency room for treatments resulting from injuries caused by climbing or falling through gates. Although they appear to be just tiny pieces of plastic, corner guards and edge bumpers have been instrumental in preventing a few very BIG injuries. Why? Because many corners on tables and shelves are at same height as toddler’s heads when they are standing (or worse, running). Hello, head injury! If your toddler runs into the corner of a piece of furniture with a corner guard or edge bumper, they are much less likely to sustain a serious head injury. We have corner guards on our kitchen table, coffee table, bookshelf edges, fireplace and even our bedroom side tables. Doesn’t it seem as if toddlers like to explore in every space you DON’T want them to be? Toddlers are curious creatures and forbidden places seem exciting to them. They love testing their boundaries. Door knob covers are great for keeping little ones out of the areas you don’t want them wandering into. Especially places like broom closets, bathrooms or out the front door! Door nob covers just spin in circles if a toddler tries to open it. But adults can easily open it by squeezing it tightly and turning the knob. Screens are not enough to keep a child from falling out of a window. And if children are able to open a window then there is the possibility of an accident. Children can be resourceful by climbing on furniture or toys to reach windows, so even if you think there is no way they could reach them, window guards are still a good idea. Side note: I don’t love that these window guards do not let me put the windows up all the way. But I would rather have them in place than risk having a horrible accident. Toddlers love exploration and will open up every single drawer and cabinet in your home. And if there is one that isn’t locked, I assure you, they will find it! Use safety latches to keep household chemicals, cleaning supplies, and other hazardous things out of the reach of tiny hands. There are several types of safety locks that you can buy depending on how much you want to spend and how much work you want to put in. We use the 3M safety locks and they work great. You can install them instantly without any drilling and can uninstall them easily when you no longer need them. The kitchen is one of the most dangerous places in the house for a toddler. There is fire and extreme heat for cooking after all! It wouldn’t be difficult for a tiny hand to reach up and turn on a stove the moment you are not looking. Stove knob covers work very much like door knob covers and make it impossible for a toddler to turn on. Note: It is a good idea to get into a new habit of using only the rear stove burners to reduce the chances that your little ones can get burned. If you do need to use the front burners always make sure the handles of any pots or pans are facing inwards so that little ones can’t pull them off the stove and sustain a burn injury. The toilet bowl is a fascinating place for toddlers and they may feel inclined to look inside the bowl to see what is in there. They may even try and pull themselves up onto the toilet. However, a toddler’s head is very big in proportion to their body. The weight of their heads would make it hard to pull themselves out if they accidentally fell in. So make it impossible for them to pull the lid up with a toilet lock cover. #8. Anchor furniture to the wall. It is a good idea to secure all tip-able furniture to the wall. As toddlers become more mobile they may climb on furniture, such as a book shelf, causing it to tip over. Secondly, in the event of an earthquake, you don’t want any heavy furniture falling over on the little humans below (we live in California, so we have to think about that here!). For aesthetics, you can anchor furniture from the back side so you can’t even see it unless you are really looking. Have you baby proofed your home yet? If so, share your tips with your fellow readers in the comments. Wow Sarah. I didn’t know about your blog. These are great reminders for us Grandmas who are helping out. Each item you mentioned reminded me of an accident that I experienced or knew of someone who did—some small, some large. Each happened in an instant and most with an adult standing nearby. Thank you for the reminders. Thank you for reading:) Accidents happen so easily, often in a blink of an eye. Luckily, it is easier to prevent many accidents these days because there are so many ways to safeguard in advance. Good to see you and Kerry a few weeks ago!